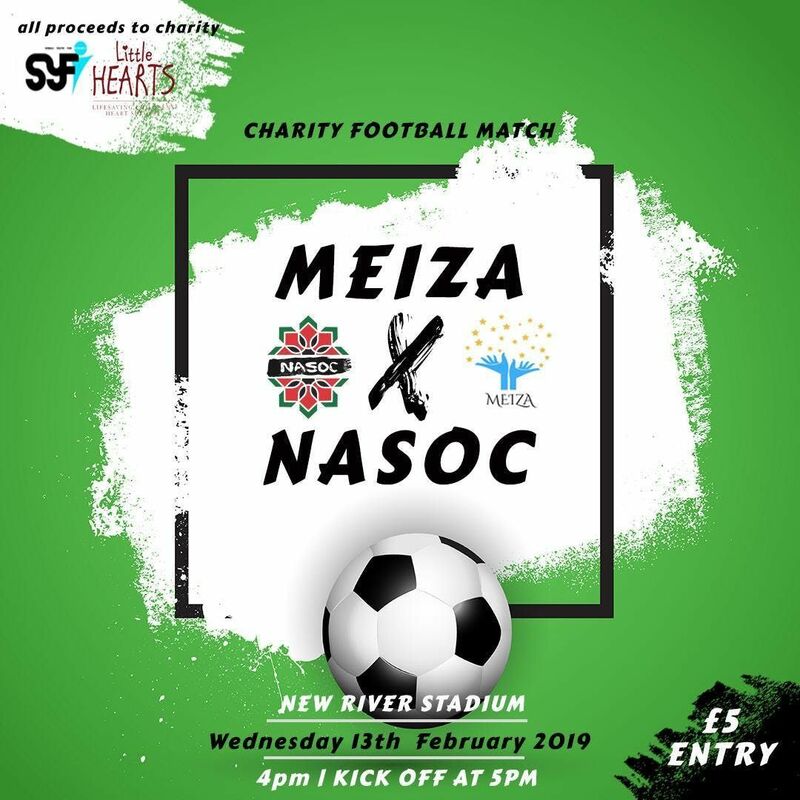 Come down on Wednesday 13th February and see QMNASoc take Meiza in a charity football match. Bring your friends, family and flags and play your part for charity! £5 entry, all proceedings will be going to SYFI February Fundraiser and Little Hearts.